Do you make your own cleaning products at home? Since my twins were infants I have used non toxic cleaning products in my home to keep their environment natural and healthy as much as possible. I found an article today that truly shocked me about the harm that cleaning products can do to our bodies. I knew that they were toxic to us but the article revealed a study that showed it to have equal damage to our lungs as smoking cigarettes! Cleaning as little as 1X/ week over the long term caused lung damage! Cleaning for a living for 20 years = lung damage on par with smoking a pack a day for 10-20 years! Toxic cleaners cause increased risk of rhinitis after exposure. .
Spray cleaners, Chlorine bleach and other disinfectants can trigger asthma! 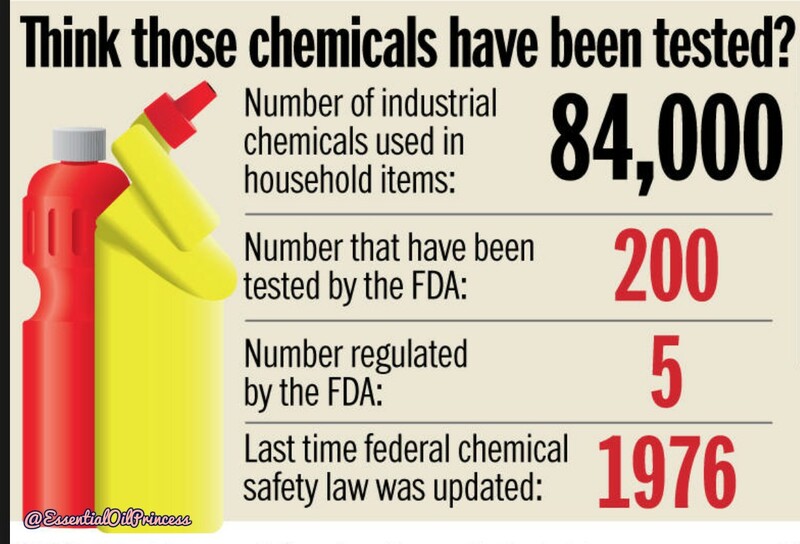 If you are still using chemical cleaning products in your home, essential oils can be your solution. I can teach you how to make your own products and even help you save money! Send me a message if you are ready to start your journey! Click here for a free ebook to learn more about cleaning with essential oils.